Students - This month's poems will tell a story about John and Betsy, and all of the poems will have three things in common: each will be written in John's voice, each will be 15 lines or shorter (not including spacing), and each will be written in free verse. I find it helpful to set writing boundaries for myself, so I chose three to work with over the next 30 days. I knew that today would find John at the park, and I knew he would be looking at people and dogs. But I wasn't sure how it would go. Then, in a used bookstore in Louisville, Kentucky (where I gave a talk on Saturday), I bought this great book. 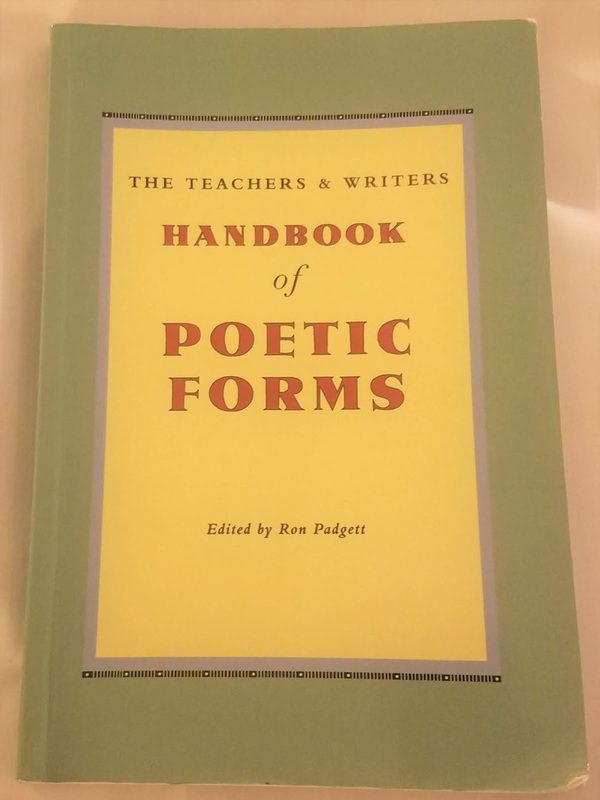 This book describes all kinds of poems, and one type of poem described is a "Walk Poem." Here is the beginning of the description of such a poem. 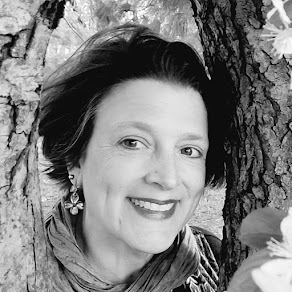 It seemed natural and right that John would take a park walk, and that his next poem would describe this walk along with what he saw and heard, including the most important word of all -- Betsy's name. Have you ever written a walk poem? If not, you might want to try it. Start by talking a walk. Or, if you prefer, remember a walk...or imagine a walk for you or for someone in your mind. You might even wish to draw the walk first, jotting all that one would see and hear and smell. 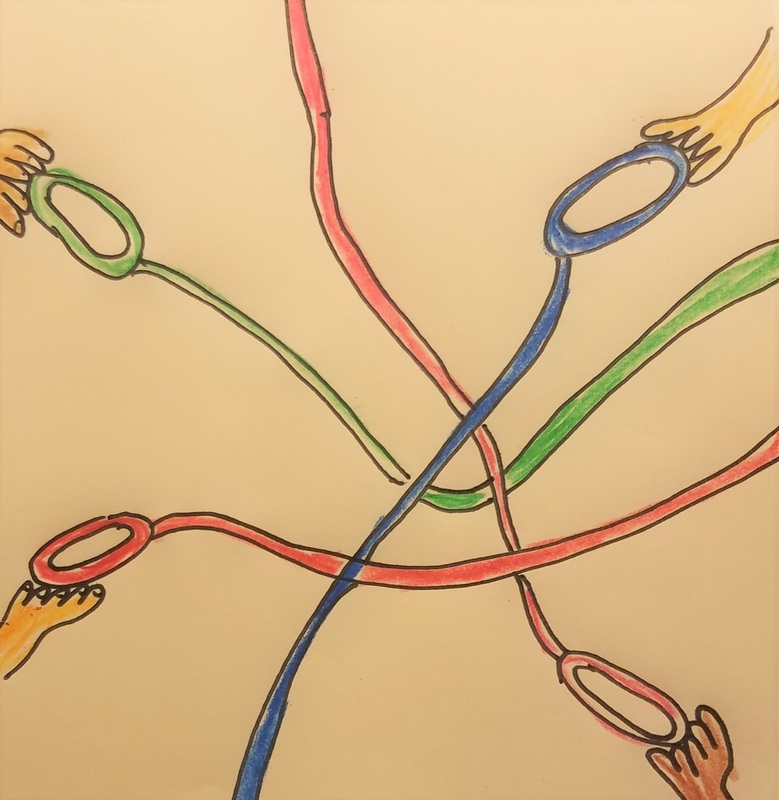 The drawing and jottings will then help you write. 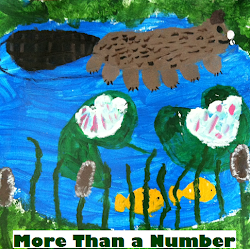 Today I am so happy to be visiting St. Stephen's and St. Agnes School in Alexandria, Virginia. 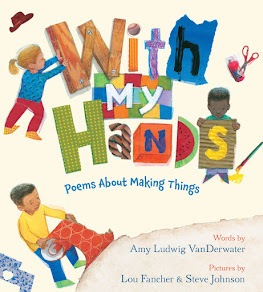 We will have a poetry day together, right in the middle of National Poetry Month! I'm up late tonight, writing my poem for April 14th. Of course, when it got to be ten o'clock, our time, I had to come see what was happening with John and Betsy. And now I don't know if I can wait until tomorrow to find out whether it is John's Betsy at the park. I HATE that they are separated. 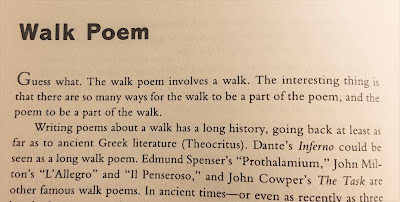 On a completely different but related note, I really want to try a walk poem. 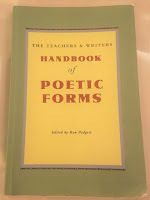 And find the poetic book, because it looks interesting. It was interesting to read about a walk poem. I may have to give that a try. The shape of today,s poem struck me. The way you created space with leash-like markings brought pause. Like Carol, it’s hard to not know what happens next. I guess we will all be up early to find out. Oh, now, a heart-filled mystery. Making us wait a day is not too bad, I guess, but it isn't easy. Thanks for sharing about the 'walk' poem, too. Oh, it's so fun to wonder where things will go now and whether the Betsy he heard is his Betsy. Our library has the book you found, so I requested it. I think I would love a walk poem, although I might have to do it alone since I might want to stop and jot as I walk. 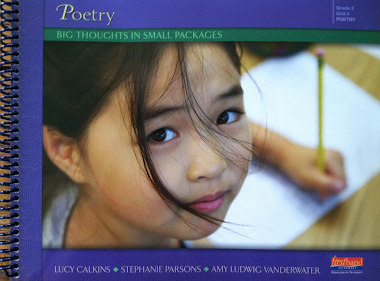 Thanks for letting us know about Heinemann's special on poetry books this month. I hope that it's is her! Love the idea of a walk poem... 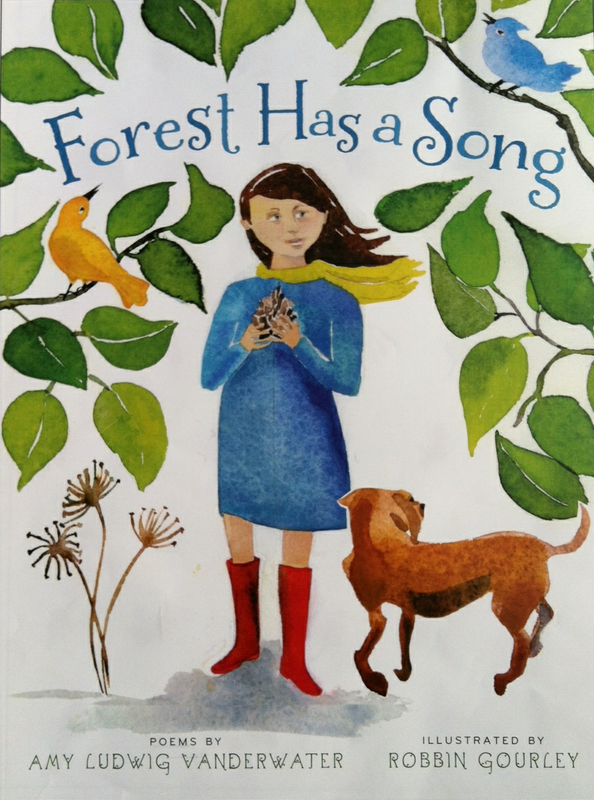 Tried a Listening Walk poem with my first graders a few years ago, but we have been going on frequent nature walks around school to observe the changes in trees, flowers and more as spring slowly arrives! Amy, I just took a walk on the Long Beach Boardwalk and wrote about it this afternoon. 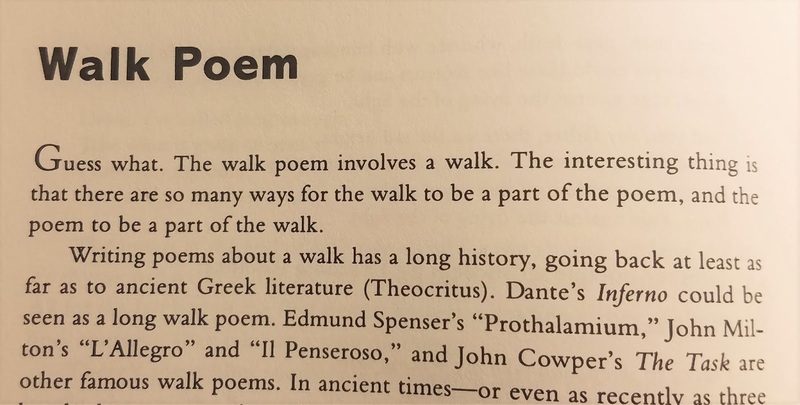 I did not know about the walk poem format so thank you for introducing it to us. I am wondering if the dog in your poem is Betsy.